We have had so many rainy days this summer! But that's okay! 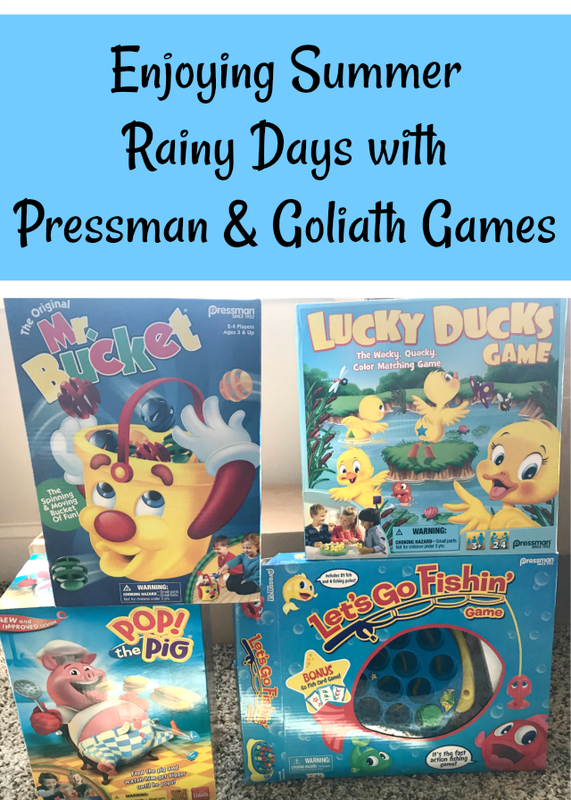 My kiddos love to play games and we received some fun ones that I am excited to share with you. And then you can enter to win them too! One VERY LUCKY Nanny to Mommy reader will receive the same games mentioned above. Entry is simple, just follow the prompts on the Rafflecopter below. Open US only, must be 18+ to enter. Winner chosen via Random.org through Rafflecopter. All winning entries are verified. Please follow us on Facebook to stay up to date with our current giveaways. Good luck! We all know a wonder woman -- the kind of girl who has it all together, no matter what. We're celebrating the start of the 2018 school year with products that will help any woman be a Wonder Woman! This hop is hosted by Savings in Seconds. Host and participants are not responsible for prizes not delivered by sponsor. Hop ends August 3, so get started on those entries! Disclosure: Nanny to Mommy received complimentary products to provide this post. All opinions are our own. This post contains affiliate links. This contest will run through August 3, 2018 at 8:59 pm PST (11:59 pm EST). Winners are chosen via Random.org, ALL winning entries ARE verified. The winner will be notified by email they signed up with and will have 48 hours to reply or another winner will be chosen. No purchase necessary. Open US only. Must be 18 years or older to win. This promotion is in no way sponsored, endorsed or administered by, or associated with, Facebook. You understand that you are providing your information to Nanny to Mommy and not to Facebook. Please note that Nanny to Mommy is not responsible for sponsors that do not fulfill their prizes. We have represented each sponsor with the expectation they will fulfill their prize and in a timely manner. We will contact the sponsor regarding your prize. The sponsors, in most cases, are shipping their items to you directly. I will make every effort to assist you in obtaining your prize. If there is an issue with a sponsor, please notify Nanny to Mommy at Diana.n.chastain@gmail.com within 4-6 weeks for assistance, after that we may be unable to assist you. I like the Let’s Go Fishin game. This would be for my grandson. I'd like Lucky Ducks for my friend's daughter. Their games are fabulous! We would be excited to have Pop the Pig. If I win, the games would be fo the kids in our family. The fishing game is my favorite. 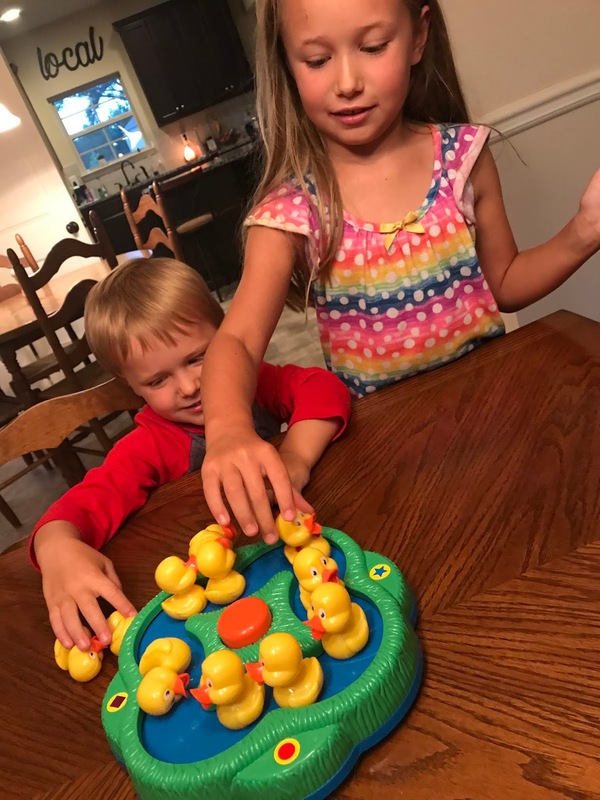 I love games like this -- such a fun way to enjoy time together! I'm most interested in Pop the Pig - reminiscent of Doggy Doo which was a big hit at our house! This would be for my nieces and nephews. These are some fun indoor/outdoor games! I'm most excited for Pop The Pig! Thanks so much for the chance! I would like to play this game with my grandson; Pressman Toys Mr. Bucket Game (4 Player) Toss your colored balls into Mr. Bucket as he whirls and spins on the floor, spitting the balls back out! Their games are so much fun to play, I have played this one before with some of my family members; Let’s Go Fishin’ with Go Fish Card Game. I'm most excited about the Mr. Bucket game. These would be for my nieces to play when they come over to visit. Thanks. My grandson would love the Let's Go Fishin Game. He already has Pop The Pig and it is so much fun to play!!!! I'm excited about all the games but especially Mr. Bucket because I think it would be for the youngest kids like my grandson who I would love to play all of these with as he becomes ready for each one. I think he could play Mr. Bucket right now and maybe even the Fishing Game which I'm excited about too. Let's go fishing would be the biggest hit with my granddaughter. They have this in her preschool and she really loves it. My niece will love these games! I am the most excited about Mr. Bucket! I remember this game from when I was a kid and it was so much fun! They all look like so much fun though, I have three littles that would enjoy them all! I'd be most excited for Lucky Ducks, I think my daughter and son would enjoy ALL of these though! I grew up on Let’s Go Fishin’ with Go Fish Card Game so I think they would like that! I would be excited to win the Lucky Ducks Game. I want to win this for my girls.